"Euskadi" redirects here. For other meanings, see Euskadi (disambiguation). For the larger Basque region, see Basque Country (greater region). For the unofficial region in Spain, see Southern Basque Country. Location of the Basque Country community in Spain. The Basque Country (/bæsk, bɑːsk/; Basque: Euskadi [eus̺kadi]; Spanish: País Vasco [paˈiz ˈβasko]; French: Pays Basque), officially the Basque Autonomous Community (Basque: Euskal Autonomia Erkidegoa, EAE; Spanish: Comunidad Autónoma Vasca, CAV) is an autonomous community in northern Spain. It includes the Basque provinces of Álava, Biscay, and Gipuzkoa. Formed by many valleys with short rivers that flow from the mountains to the Bay of Biscay, like the Nervión, Urola or Oria. The coast is rough, with high cliffs and small inlets. The main features of the coast are the Bilbao Abra Bay and the Estuary of Bilbao, the Urdaibai estuary and the Bidasoa-Txingudi Bay that forms the border with France. Between the two mountain ranges, the area is occupied mainly by a high plateau called Llanada Alavesa (the Álava Plains), where the capital Vitoria-Gasteiz is located. The rivers flow south from the mountains to the Ebro River. The main rivers are the Zadorra River and Bayas River. From the southern mountains to the Ebro is the so-called Rioja Alavesa, which shares the Mediterranean characteristics of other Ebro Valley zones. Some of Spain's production of Rioja wine takes place here. The Basque Mountains form the watershed and also mark the distinct climatic areas of the Basque Country: The northern valleys, in Biscay and Gipuzkoa and also the valley of Ayala in Álava, are part of Green Spain, where the oceanic climate is predominant, with its wet weather all year round and moderate temperatures. Precipitation average is about 1200 mm. The middle section is influenced more by the continental climate, but with a varying degree of the northern oceanic climate. This gives warm, dry summers and cold, snowy winters. The Ebro valley has a pure continental climate: winters are cold and dry and summers very warm and dry, with precipitation peaking in spring and autumn. Precipitation is scarce and irregular, as low as 300 mm. Almost half of the 2,155,546 inhabitants of the Basque Autonomous Community live in Greater Bilbao, Bilbao's metropolitan area. Of the ten most populous cities, six form part of Bilbao's conurbation (Bilbao, Barakaldo, Getxo, Portugalete, Santurtzi and Basauri), which is also known as Greater Bilbao. With 28.2% of the Basque population born outside this region, immigration is crucial to Basque demographics. Over the 20th century most of this immigration came from other parts of Spain, typically from Galicia or Castile and León. Over recent years, sizeable numbers of this population have returned to their birthplaces and most immigration to the Basque country now comes from abroad, chiefly from South America. Roman Catholicism is, by far, the largest religion in the Basque Country. In 2012, the proportion of Basques that identified themselves as Roman Catholic was 58.6%, while it is one of the most secularised communities of Spain: 24.6% were non-religious and 12.3% of Basques were atheist. Spanish and Basque are co-official in all territories of the autonomous community. The Basque-speaking areas in the modern-day autonomous community are set against the wider context of the Basque language, spoken to the east in Navarre and the French Basque Country. The whole Basque speaking territory has experienced both decline and expansion in its history. The Basque language experienced a gradual territorial contraction throughout the last nine centuries, and very severe deterioration of its sociolinguistic status for much of the 20th century due to heavy immigration from other parts of Spain, the virtual nonexistence of Basque language schooling, and national policies implemented by the different Spanish régimes (see Language policies of Francoist Spain). After the advent of the Statute of Autonomy of the Basque Country in 1982 following Franco's death, this reductive trend was gradually reversed thanks to the Basque language schools and the new education system. Basque has always had a strong presence in most of Gipuzkoa, central and eastern Biscay and the northern edge of Álava, while most Basque speakers in western Biscay and the rest of Álava are second-language speakers. The 2006 sociolinguistic survey of all Basque provinces showed that in 2006 of all people aged 16 and above in the Basque Autonomous Community, 30.1% were fluent Basque speakers, 18.3% passive speakers and 51.5% did not speak Basque. The percentage of Basque speakers was highest in Gipuzkoa (49.1% speakers) and lowest in Álava (14.2%). These results represent an increase on previous years (29.5% in 2001, 27.7% in 1996 and 24.1% in 1991). The highest percentage of speakers was now be found in the 16-24 age range (57.5%), while only 25.0% of those 65 and older reported speaking Basque. Ten years later, the sociolinguistic survey showed that in 2016 of all people aged 16 and above in the Basque Autonomous Community, 33.9% were fluent Basque speakers, 19.1% passive speakers and 47% did not speak Basque. The proportion of Basque speakers was again highest in Gipuzkoa (50.6%) and lowest in Álava (19.2%). 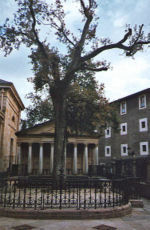 The forerunner of the Gernika Statute was the short-lived Statute of Autonomy for Álava, Gipuzkoa and Biscay, which came to be enforced in October 1936 just in Biscay, with the Spanish Civil War already raging, and which was automatically abolished when the Spanish Nationalist troops occupied the territory. 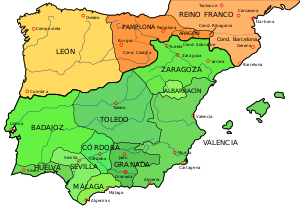 Before the Spanish Constitution of 1978 and its system of autonomous communities, these three provinces were known in Spanish as the Provincias Vascongadas since 1833. The political structure of the new autonomous community is defined in the Gernika Statute, which was approved by a majority in a referendum held on 25 October 1979. Nowadays it is one of the most decentralised regions in the world; in this regard it has been described as having "more autonomy than just about any other in Europe" by The Economist. Churruca's death at the Battle of Trafalgar. Basque navigators key for the navy of Castile and later the Spanish Navy. As regards the bounds to the Spanish Constitution, Basque nationalists cite the fact that in the 1978 Spanish Constitution referendum, which was passed with a majority of votes and a poor turnout in this area, the Basque Country had the highest abstention (the Basque Nationalist Party had endorsed abstention on the grounds that the Constitution was being forced upon them without any Basque input). To this, the "NO" vote in this referendum was also higher in the Basque Country than in the rest of the state. All in all, many Basques believe that they are not bound to a constitution that they never endorsed. The Statute of Autonomy of the Basque Country is an organic law but powers have been devolved gradually during decades according to re-negotiations between the Spanish and the consecutive Basque regional governments to reach an effective implementation, while the transfer of many powers are still due and has always been a matter of heated political discussion. Basque nationalists often put down this limitation in the devolution of powers to concessions made to appease the military involved in the 23-F coup d'état attempt (1981). In 2003, the governing Basque Nationalist Party (PNV) proposed to alter this statute through the Ibarretxe Plan. The Ibarretxe bill was approved by absolute majority in the Basque Parliament after much discussion, as it was subject to lengthy legal objections—on the grounds that it contradicts the Spanish Constitution—that were ultimately overcome. Despite its mandate of the majority of the autonomous Parliament, the main two parties in Spain (PSOE, PP) imposed a blockade on a discussion of the Plan in the Spanish Parliament (Madrid Cortes Generales), resulting in its rejection for debate by a large majority of that Parliament in January 2005. Since the first autonomic cabinet, the Basque Nationalist Party has held office in the Basque Autonomous Community except for a 2009-2012 term, led by Patxi López (PSE-PSOE). The current Basque prime minister is Iñigo Urkullu, also a member of the Basque Nationalist Party. Despite ETA's ceasefire in 2011, this autonomous community shows the highest rate of police per 100 inhabitants in Western Europe by 2018. As agreed with the Spanish premier Zapatero in 2004, Urkullu intends to increase the figure of ertzainas, while the Spanish PP's Ministry of Interior rejects a pullback of Spanish police bodies, as demanded by the large majority of the political forces in the autonomous parliament, even pointing to an increase of the Guardia Civil in the future. The current laws configure the autonomous community as a federation of its present-day three constituent provinces. These western Basque districts kept governing themselves by their own laws and institutions even after the Castilian conquest in 1200. The new king upheld their institutional system issued from the consuetudinary law prevalent in Basque and Pyrenean territories. This limited self-government, similar to the one for Navarre, was partially suppressed in 1839 and totally in 1876 in exchange for an agreement on tax-collection and a number of administrative prerogatives. These in turn were suspended by Franco for Gipuzkoa and Biscay, but restored by the Spanish Constitution of 1978. The post-Franco Spanish Constitution of 1978 acknowledges historical rights and attempts a compromise in the old conflict between centralism and the different national identities (Basque, Catalan, and Galician). A negotiation between UCD's Suárez in office and PNV led to the establishment of the Basque statute, with its first article stating that the Basque people (Euskal Herria) takes on an institutional personality in the form of the Basque Autonomous Community; the 2nd article goes on to establish that it may be constituted by Álava, Biscay, Gipuzkoa, as well as Navarre . Provincial councils provided with actual relevant attributions (taxation, etc.) were restored to these provinces (called therefore diputación foral), but Navarre detached from the Basque political process. A specific approach to the national realities in Spain was eventually diffused by a legal provision allowing for the establishment of autonomous administrations and parliaments to any region in Spain (e.g. Castile and León, Catalonia, the Valencian Community, etc. ), while the Basques, Catalans, and Galicians were acknowledged historic specificity. The provinces in the Basque Country still perform tax collection in their respective territories, but with limited margin in decision making under the Spanish and European governments. Under this intricate system, the Diputaciones Forales (Basque: Foru Aldundiak) administer most of each of the provinces but are coordinated by the autonomous Basque Government (Spanish Gobierno Vasco, Basque: Eusko Jaurlaritza). The autonomous community has its own police force (the Ertzaintza), controls Education and Health Systems, and has a Basque radio/TV station. These and only some of the powers acknowledge in the Gernika Statute have since 1980 been transferred to the Autonomous Community by the Cortes Generales under the Gernika Statute. The seats of the Basque Parliament and Government are in Vitoria-Gasteiz, so this is the capital city de facto, but the Basque Autonomous Community has no capital de iure. The Parliament is composed of 25 representatives from each of the three provinces. The Basque Parliament elects the Lehendakari (President of the Autonomous Community of the Basque Country) who forms a government following regular parliamentary procedures. Until 2009 all Lehendakaris (even those in 1937 and during the exile) have been members of the Basque Nationalist Party (Euzko Alderdi Jeltzalea) (moderate and Christian-Democrat) since 1978. Despite their continued leadership role, they have not always enjoyed majorities for their party and have needed to form coalitions with either Spain wide parties or left-leaning Basque nationalist parties, often governing in a difficult minority position. Since 1982 until the late 1990s, Basque nationalists ideologically closer to ETA refused to turn out in the Basque parliament, a significant wedge of the parliament. Currently, the Basque Government is headed by Iñigo Urkullu (PNV). ETA's permanent ceasefire (2010-2011) opened the possibility of new governmental alliances and has enabled EH Bildu's electoral success and rise to governmental institutions (Gipuzkoa, and capital city Donostia, 2011-2015). In the 2012 Basque parliamentary election, the PNV obtained a plurality of the votes, followed by the left-wing nationalist coalition EH Bildu (Eusko Alkartasuna, Sortu, Alternatiba). In 2016 the Basque regional election was held on 25 September to elect the 11th Parliament of the Basque Autonomous Community, which left a hung parliament, with the combination of Basque nationalist parties (PNV and EH Bildu) representing the largest wedge in the parliament of the Basque Autonomous Community, the main Spanish parties PP and PSOE's branches occupying a 24% of the seats, and Podemos - Ahal Dugu accounting for 11 seats (14,66% of the total). However, the leading party PNV renewed its traditional alliance with the PSE to form government. During the 2017 Catalan referendum crisis, the parliament showed its sympathy and support to the Catalan independence referendum and lashed out at the Spanish government's stance on the issue, denouncing any measures it may take against the vote or 'democracy' altogether. Besides supporting the vote, Basques of this community showed a preference for further self-government (43,5%), with independence and present-day status quo ranking as second and third options (22,6% and 18,9%). In 2016, the parliament of the autonomous community passed a Police Abuses Act spanning the period between 1978 and 1999; it was shortly after challenged by the public prosecutor and appealed also by virtually all police and Civil Guard unions. Incoming Spanish premier Pedro Sanchez agreed to lift the public prosecutor's block on the law in exchange for altering its content. The statute, insofar as it is addressed and provides an administrative framework for the Basque people, provides the mechanisms for neighbouring Navarre to join the three western provinces if it wishes to do so, since at least part of it is ethnically Basque. The Basque Government used the "Laurak Bat", which included the arms of Navarre, as its symbol for many years. The Navarrese Government protested, and tribunals ruled in their favour. The Basque Government replaced it with an empty red field. Navarre is one of the historical Basque territories and even claimed by the Basque nationalists as the core of the Basque nation. There are also two enclaves surrounded by Basque territory—Treviño (Basque: Trebiñu) and Valle de Villaverde (Basque: Villaverde-Turtzioz)—which belong to the fellow neighbouring communities of Castile and León and Cantabria respectively, for which a legal connection to the Basque Country has become an on-off matter of political discussion. The Basque Autonomous Community ranks first in Spain in terms of per capita income, with a nominal gross domestic product (GDP) per capita (adjusted to purchasing power parity, PPP) being 22% higher than that of the European Union and 30% higher than Spain's average in 2016, and at €34,400 in 2015. Industrial activities were traditionally centred on steel and shipbuilding, mainly due to the rich iron ore resources found during the 19th century around Bilbao. The Estuary of Bilbao was the centre of Euskadi's's industrial revolution during the 19th and the first half of the 20th century. These activities decayed during the economic crisis of the 1970s and 1980s, giving ground for the development of the services sector and new technologies. Today, the strongest industrial sectors of the Basque Country's economy are machine tool, present in the valleys of Biscay and Gipuzkoa; aeronautics in Vitoria-Gasteiz; and energy, in Bilbao. The main companies in the Basque Country are: BBVA bank, Iberdrola energy company (both of them have their headquarters in Bilbao), Mondragón Cooperative Corporation—MCC, the largest cooperative in the world—Gamesa wind turbine producer and CAF rolling stock producer. MCC's business leadership in the Basque Country hangs in the balance after Fagor, its flagship cooperative of household appliances and goods manufacturing, declared bankruptcy in 2014. Eight out of ten Spanish municipalities with the lowest unemployment rates were found across this autonomous community in 2015, highlighting such towns as Arrasate, Portugalete and Barakaldo with a strong manufacturing industrial make-up. The Basque Autonomous Community ranked above other communities in Spain in terms of resilience in the face of the economic crisis, going on to become a beacon and a subject of study in Europe. In 2013 the Basque Country outperformed Spain in several parameters, but economic overall figures were highly variable. Spanish figures are subject to conspicuous seasonal fluctuation, relying on its tourist and services sectors, while Basque performance is rather based on mid- and long-term results, according with its more industrial focus. In the last quarter of 2017, unemployment in this autonomous community rose to 11.1% (8.43% in Gipuzkoa), second lowest in Spain after Navarre, at a percentage slightly higher than the EU average (10.8%), but still ahead of the Spanish overall unemployment rate of around 16.55%, the second highest in the EU. In regards to GDP performance, 2017 was a remarkably positive year for the Basque Autonomous Community. It underwent an increase in GDP of 3.0%, close to the Spanish increase, 3.1%. In the last term of 2013, the public debt of the Basque Autonomous Community stood at 13.00% of its GDP, totalling 3,753 € per capita, as compared to Spain's overall 93.90%, totalling 20,383 € per capita. The Basque Government's high-ranking officials, as well as Basque-based party leaders and personalities, have protested and voiced their concern over the detrimental effects of austerity measures passed by the Spanish Government as of 2011, overruling Basque taxation powers, may be having on industry and trade, especially export. Basque officials have strongly advocated for participation, along with Navarre, in the Ecofin, with a full membership, in order to defend Basque interests in line with Basque reality and fiscal status, and not as a Spanish subsidiary. The strategic geographical location of the Basque Country as a link between the northwest and centre of Spain and the rest of Europe makes this territory heavily transited. The main backbones of road transport are the AP-8 motorway which links Bilbao, San Sebastián and the French border and the A-1 motorway which links San Sebastián and Vitoria-Gasteiz with central Spain. Other important routes include the AP-68 motorway which links Bilbao with the Mediterranean. Eusko Trenbide Sarea (Basque Railway Network) is the Basque Government-owned company that maintains and creates the railway infrastructure in the autonomous region. EuskoTren (Basque Train) is the Basque Government-owned narrow gauge rail company that operates commuter services in Bilbao and San Sebastián, intercity Bilbao-San Sebastián service, and EuskoTran tram services in Bilbao and Vitoria-Gasteiz. Metro Bilbao operates two metro lines that serve the Greater Bilbao area while EuskoTren operates a third which opened in 2017. EuskoTren operates a metro service in the San Sebastián area, known as Metro Donostialdea. The Spanish government owns two main RENFE broad gauge lines that link Vitoria-Gasteiz with San Sebastián and Bilbao with central Spain. It also operates Cercanías commuter lines in both Bilbao and San Sebastián. The FEVE narrow gauge rail company operates a commuter line between Bilbao and Balmaseda and links Bilbao with the rest of northern Spain. A new high-speed network (called Basque Y) currently under construction will link the three capitals in 'Y' formation. Because of the rough geography of the territory, most of the network will run through tunnels, with a total estimated cost of up to €10 billion. The estimated ecological impact of the project has encouraged the formation of a group campaigning against it called AHTrik Ez Elkarlana. The group uses social disobedience to oppose the project and promotes referendums against it in the towns it most affects. In spite of the vocal opposition to the project by this and other community groups (as well as EH Bildu), work continues, not without uncertainty. In early 2015, an estimate suggested that the average Basque intercity fare would rise to a non-competitive 25 €, while the Spanish central government's funding has been subject to continuous delays, spurring the irritation of the Basque government in Vitoria-Gasteiz. 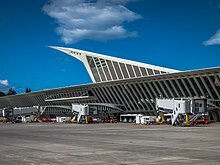 Of the three, the most important hub and entry point to the Basque Country is Bilbao Airport, offering many international connections. Nearly 4,600,000 passengers passed through it in 2016. The two most important ports are the Port of Bilbao and the Port of Pasaia. There are also minor fishing ports, such as Bermeo and Ondarroa. The Port of Bilbao is by far the most important in the Basque Country and the north of Spain, being the fourth most important in Spain with over 38 million tons of traffic. All cruising routes arrive in Bilbao and there is a ferry service linking Bilbao with Portsmouth (United Kingdom). Basque cuisine is an important part of Basque culture. According to the chef Ferran Adrià, San Sebastián "in terms of the average quality of the food, in terms of what you can get at any place you happen to walk into, maybe it is—probably it is, yes—the best in the world." The most popular dishes are seafood, fish (for example Marmitako) and "Pintxos", bar finger food. During the 1970s, several chefs from the Basque Country, particularly Juan Mari Arzak and Pedro Subijana, led a gastronomic revolution, translating to Spain the principles of French nouvelle cuisine. The first Spanish restaurant to be awarded 3 stars in the Michelin Guide was, in fact, Zalacaín, a Basque restaurant, although located in Madrid. Today, the Basque Country, alongside Catalonia, is the Spanish region with a higher density of stars in the Michelin Guide, and it has become a preferred destination of many gastronomic tourists, both domestic and international. Four restaurants boast 3 stars, the highest possible award: Juan María Arzak (Arzak restaurant), Martín Berasategui (Berasategui restaurant), Pedro Subijana (chef of Akelarre) and Eneko Atxa (Azurmendi restaurant). In the new generation of chefs, Andoni Luis Aduriz, Mugaritz restaurant, is outstanding. The coastal city of San Sebastián is home to the Basque Culinary Center, an academic research institution focused on higher education and research in the areas of gastronomy and nutrition. Basque food is one of the reasons for tourism to the Basque Country, especially the pintxos. A popular way to socialise is "ir de pintxos" or txikiteo, a Basque version of a pub crawl, albeit generally more civilised. Basque rural sports, known as Herri Kirolak in Basque, are a number of sports competitions rooted in the traditional lifestyles of the Basque people, for example Basque pelota, the Basque version of the European game family that includes real tennis and squash. Basque players, playing for either the Spanish or the French teams, dominate international competitions. The Basque country is also home to former national football champions Athletic Club from Bilbao. It has a strict Cantera policy of employing only players born or trained in the Basque Country (greater region). Athletic's policy does not apply to head coaches, with famous names as Howard Kendall and Jupp Heynckes coaching the team at various points. In spite of this, the club shares with worldwide heavyweights Real Madrid and FC Barcelona the distinction of never being relegated from the top flight. Another major Basque Country club is Real Sociedad from San Sebastián, who contest the Basque derby with Athletic. Real Sociedad used to practise the same policy, until they signed Irish striker John Aldridge in the late 1980s. Since then, Real Sociedad have had many foreign players. Xabi Alonso became the only Basque player to win both the World Cup and the club European Cup and he played in the Real Sociedad. The region is also home to other La Liga clubs SD Eibar and Deportivo Alavés. The most renowned Basque footballer of all time is possibly Andoni Zubizarreta who holds the record for appearances in La Liga with 622 games and has won six league titles and the European Cup. Nowadays, the best known Basque football player is Xabi Alonso, winner of two UEFA European Championships and one World Cup, who played for Real Sociedad, Liverpool, Real Madrid and Bayern Munich, but retired in 2017. Other notable Basque players include Mikel Arteta, Asier Illarramendi, Andoni Iraola, Aritz Aduriz, Xabi Prieto and Ander Herrera. Both Athletic and Real Sociedad have won the Spanish league, including dominating the competition in the early 1980s, with the last title won by a Basque club being Athletic's 1984 title. At international level, Basque players were especially prominent in Spanish selections prior to the Civil War, with all of those at the 1928 Olympics, and the majority of the 1920 Olympics and 1934 World Cup squads, born in the region. There is an unofficial 'national' team which plays occasional friendlies, however its squads pick players from the wider territory including Navarre and the French Basque Country. Cycling as a sport is popular in the Basque Country. Abraham Olano has won the Vuelta a España and the World Championship. The UCI World Tour Movistar Team hails from the Basque Country. The Caisse d'Épargne cycling team traces its history back to the Banesto team that included Miguel Induráin. The region is home to the Tour of the Basque Country stage race and the Clasica de San Sebastian one day race. The Euskaltel–Euskadi team was also part of the World Tour until its disbandment in 2014. It was an unofficial Basque national team and was partly funded by the Basque Government. Its riders were either Basque, or at least grown up in the Basque cycling culture, and former members of the team have been strong contenders in the Tour de France held annually in July and Vuelta a España held in September. Team leaders have included riders such as Iban Mayo, Haimar Zubeldia, Samuel Sánchez, David Etxebarria, Igor Antón, Mikel Landa and Mikel Nieve. Some notable Basque people from this administrative jurisdiction include Francisco de Vitoria, philosopher who set the theories of just war, international law and freedom of commerce; Juan Sebastián Elcano, completed first circumnavigation of the Earth; Ignatius of Loyola, founder of the Jesuits; Don Juan de Oñate, explorer of the great plains and Colorado river; Blas de Lezo, naval strategist, best remembered for his defensive tactics at the Battle of Cartagena de Indias; Jorge Oteiza sculptor; Paco Rabanne, fashion designer; Cristóbal Balenciaga, fashion designer; Xabi Alonso and Mikel Arteta, footballers; Edurne Pasaban, first woman to climb all of the fourteen eight-thousander peaks in the World; Elena Arzak, best female chef in the world (2012); Jon Kortajarena male model; Jose-Maria Cundin, artist; Fernando Savater philosopher; Miguel de Unamuno, essayist, novelist, poet, playwright, philosopher. ^ a b "El 28,2% de la población que vive en el País Vasco ha nacido fuera | País Vasco". elmundo.es. Retrieved 2010-04-26. ^ Michelena, Luis (1977). "El largo camino del euskera" (PDF). El Libro Blanco del Euskera. Euskaltzaindia. Retrieved 3 July 2013. ^ "Spain and its regions | Autonomy games". Economist.com. 2007-09-20. Retrieved 2010-04-26. ^ "Archivo de Resultados Electorales". .euskadi.net. Archived from the original on 2010-04-07. Retrieved 2010-04-26. ^ "El lugar más vigilado de Europa Occidental quiere más policías" (in Spanish). Retrieved 2018-01-19. ^ "Bildu pide menor presencia policial en Euskadi" (in Spanish). Retrieved 2018-01-19. ^ "El pueblo vasco se constituye en comunidad autónoma". El País. 1979-07-18. Retrieved 2016-12-19. ^ "The Statute of Autonomy of the Basque Country" (PDF). 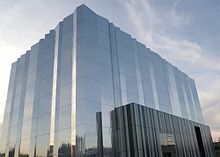 Euskadi.net. Retrieved July 8, 2013. ^ "Statute of Autonomy of the Basque Country". BOE.es (in Spanish). December 18, 1978. Retrieved July 8, 2013. ^ "Azkuna: "Vitoria no es la capital de Euskadi"". El Correo. 2010-03-12. Retrieved 2010-09-09. ^ Ayala, Alberto (2010-05-11). "Vitoria no será capital por ley, por ahora". El Correo. Retrieved 2010-09-09. ^ "El Parlamento Vasco muestra su apoyo al referéndum catalán". EITB. 2017-09-28. Retrieved 2017-10-01. ^ "La sociedad vasca empatiza con Cataluña, pero no aplicaría su modelo". EITB. 9 October 2017. Retrieved 10 October 2017. ^ "Batalla jurídica por la ley vasca de víctimas policiales". eldiario.es (in Spanish). Retrieved 2018-07-31. ^ Eustat. "PIB per cápita (PPC) por país y año (EU 28=100). 2005-2016". www.eustat.eus. Retrieved 2018-01-31. ^ "Regional GDP - Eurostat". ec.europa.eu. Retrieved 2018-01-31. ^ "Euskadi es la comunidad que mejor ha resistido la crisis". EITB. 2015-04-13. Retrieved 2015-04-13. ^ "Ocho de las diez localidades menos afectadas son vascas". El País. 2015-04-13. Archived from the original on 2015-04-13. Retrieved 2015-04-13. ^ "Short-term statistical products". en.eustat.eus. Retrieved 2018-01-31. ^ "Unemployment statistics - Statistics Explained". ec.europa.eu. Retrieved 2018-01-31. ^ "Tasas de actividad, paro y empleo por provincia (3996)". www.ine.es (in Spanish). Retrieved 2018-01-31. ^ "Deuda Pública del País Vasco". Datos Macro. Retrieved 2014-04-23. ^ "Deuda Pública de España". Datos Macro. Retrieved 2014-04-23. ^ "Passenger Traffic, Aircraft Movements and Cargo at Spanish Airports, 2016" (PDF). Aeropuertos Españoles y Navegación Aérea. Archived from the original (PDF) on 2017-08-04. ^ Carlin, John (2005-03-13). "Is San Sebastián the best place to eat in Europe?". The Observer. Retrieved 2010-09-09. ^ Mayr, Walter (11 April 2008). "Athletic Bilbao: How a proud Basque team is resisting globalization". Der Spiegel. Retrieved 19 May 2015. Pierson, Peter (1999). The History of Spain. Westport, Connecticut: Greenwood Publishing Group. ISBN 0-313-30272-3. Wikimedia Commons has media related to Basque Autonomous Community. Wikisource has the text of the 1911 Encyclopædia Britannica article Basque Provinces. José Aranda Aznar, “La mezcla del pueblo vasco”, en Empiria: Revista de metodología de ciencias sociales, ISSN 1139-5737, Nº 1, 1998, págs. 121-180.